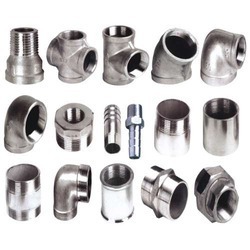 We are one of the prominent manufacturers and suppliers of supreme quality Stainless Steel Pipe Fittings. Stainless steel, which is best in the market, is used for manufacturing these fittings. Precisely engineered as per the industry set norms and regulations, the offered fittings are known for their dimensional accuracy and robust design.